On the cover, Irene affixed a pair of two setenant stamps and one stamp. 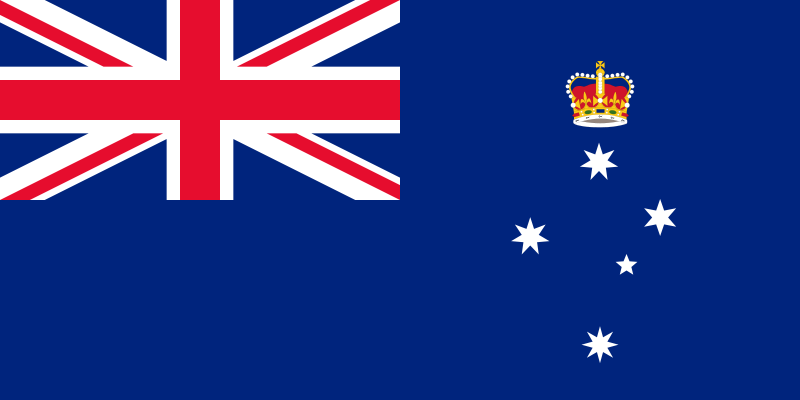 The setenant stamps commemorate the overland crossing 1861-62 by John McDouall Stuart. 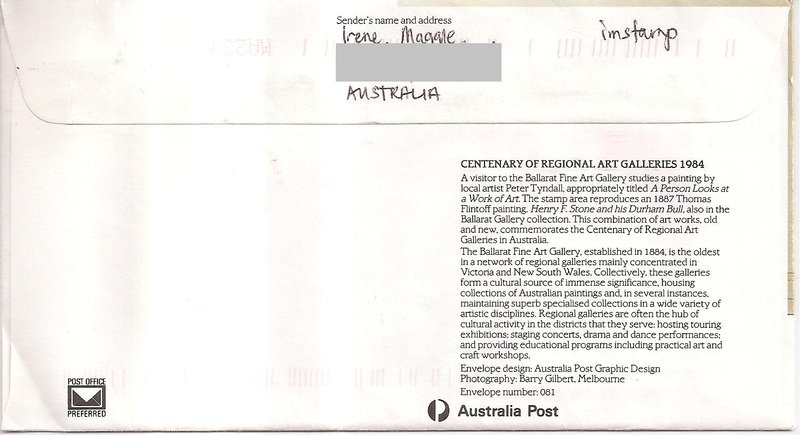 The postmark date is 5 July 2013 and the location is Blackburn South, Victoria. Thanks a lot Irene! An awesome Christmas cover from Christmas Island, Australia sent by postcrosser Irene Magale for Nice Cover Circuit in postcrossing forum. 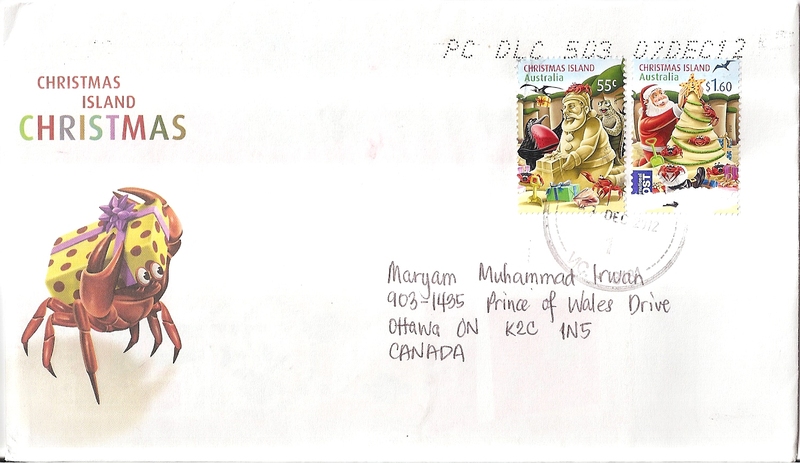 On the cover, Irene affixed two Christmas Island stamps. 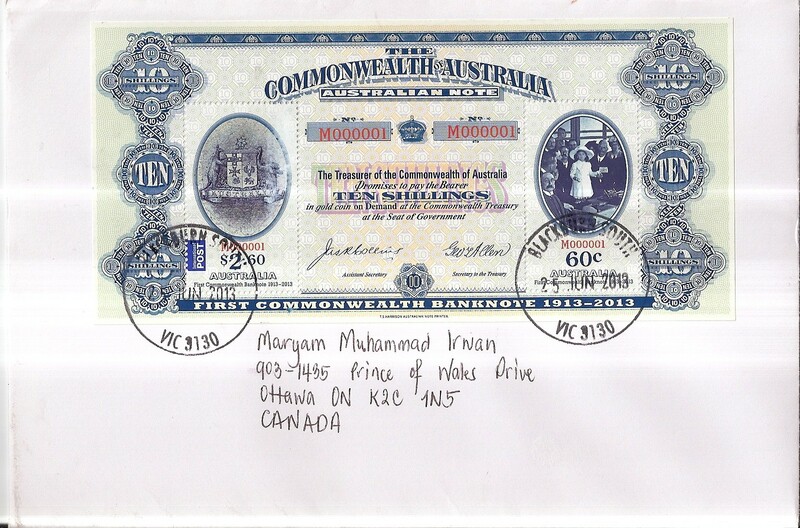 Unfortunately, both of them were damaged – the right stamp has a small tear near the upper left edge, while the right stamp bottom was torn. 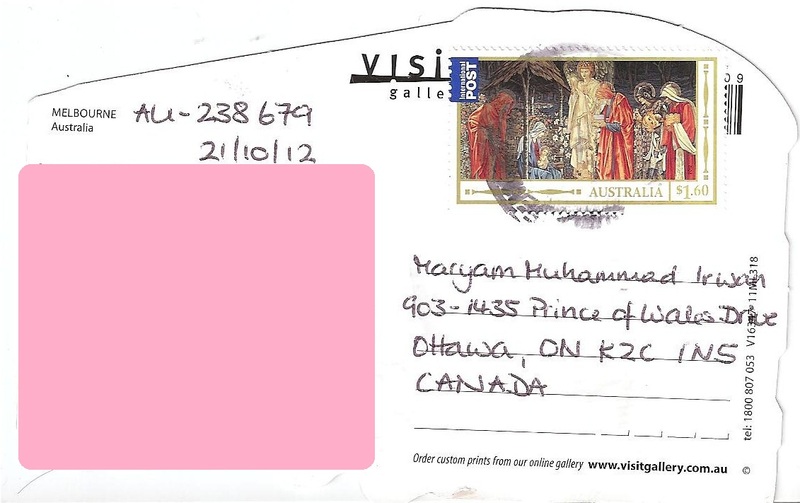 The postmark date is 7 December 2012 and the location is Victoria. This is the back of the cover that contains information about the issue. 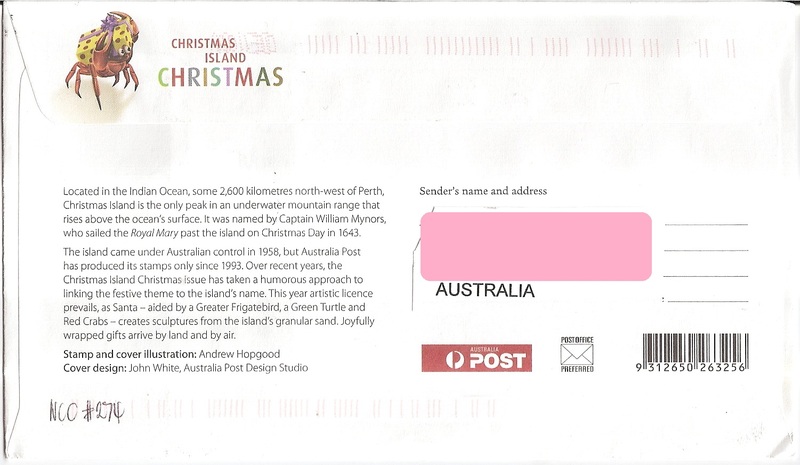 Inside is a beautiful Christmas maximum card with postmark date 1 November 2012 and location Merrylands in New South Wales. 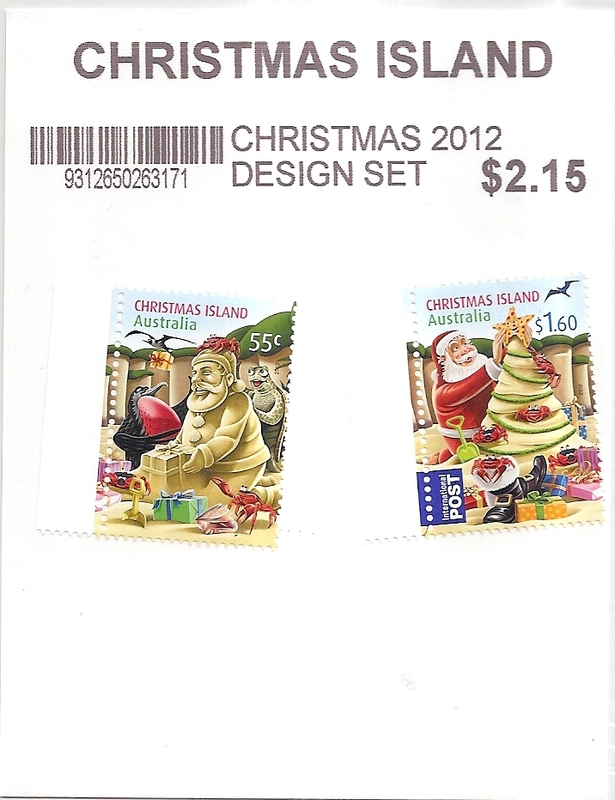 Irene also sent me two mint Christmas Island Christmas stamps!!! Thank you very much Irene! A tram-shaped postcard from Melbourne, Victoria, Australia sent by postcrosser Anita through official postcrossing. 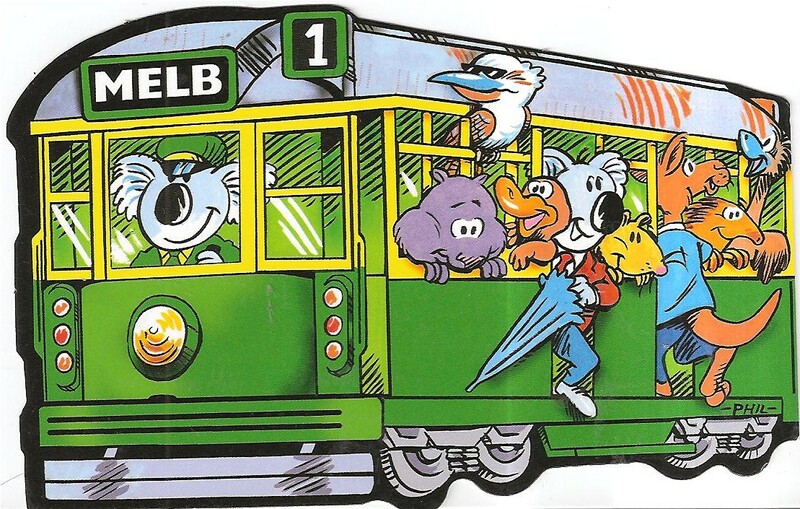 The tram-shaped postcard shows various Australian animals on the tram. 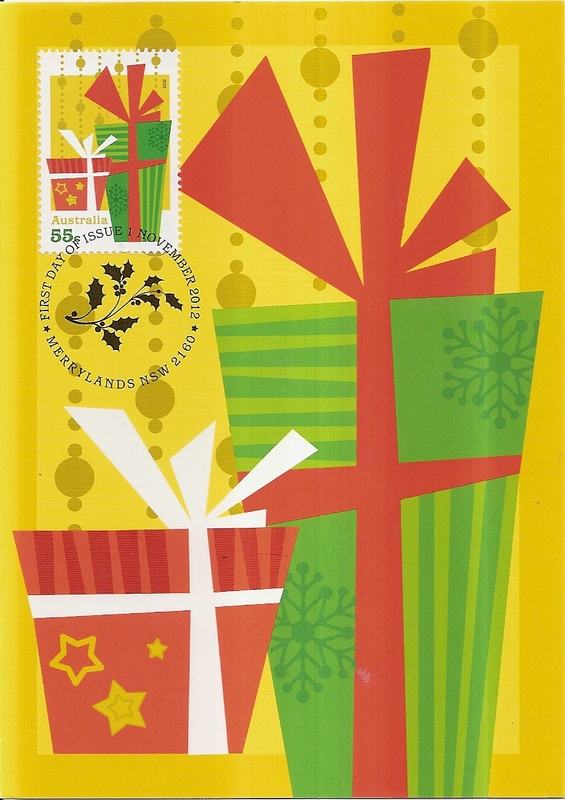 At the back, Anita affixed a single international Christmas stamp. Thank you Anita! A cover from Australia, sent by postcrosser Irene Magale from Victoria for Nice Cover Circuit in postcrossing forum. 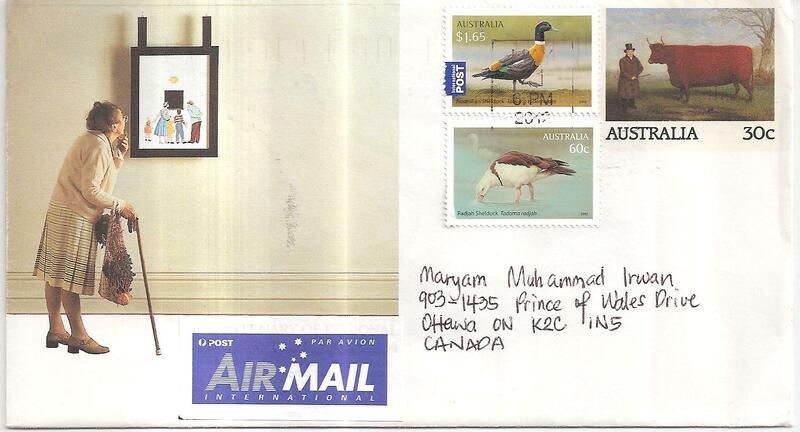 On the cover, Irene affixed two pairs of setenant stamps that show wild animals in Australian zoos. 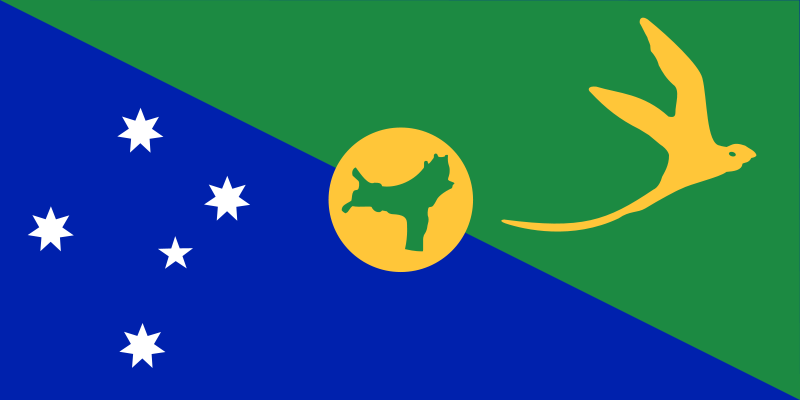 No postmark date or location available. Thank you Irene! A cover from Victoria, Australia sent by Irene Magale for the Whole Set Special Group Round Robin arranged by Nice Cover Circuit in postcrossing forum. 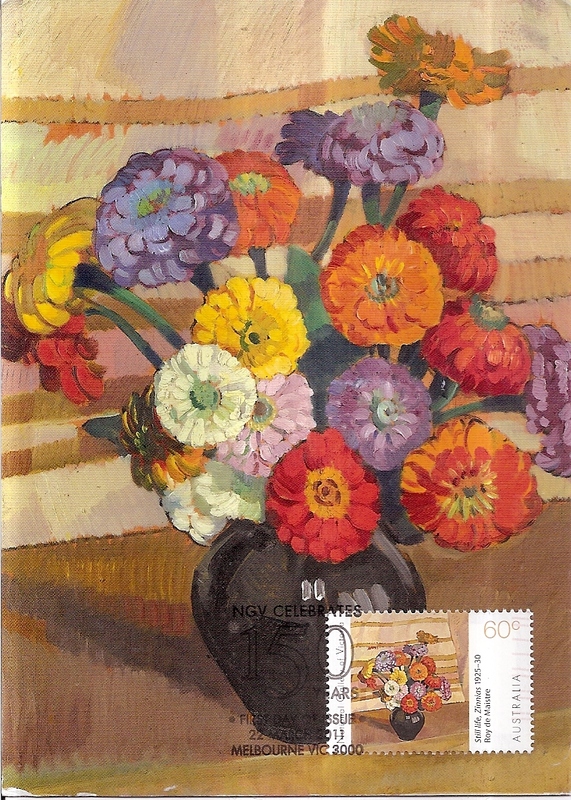 On the cover, Irene affixed a set of five colorful stamps from the ‘Then & Now’ series. Looking at those stamps remind me of how life has changed due to new technology, but then life in the old days was more relax and fun! 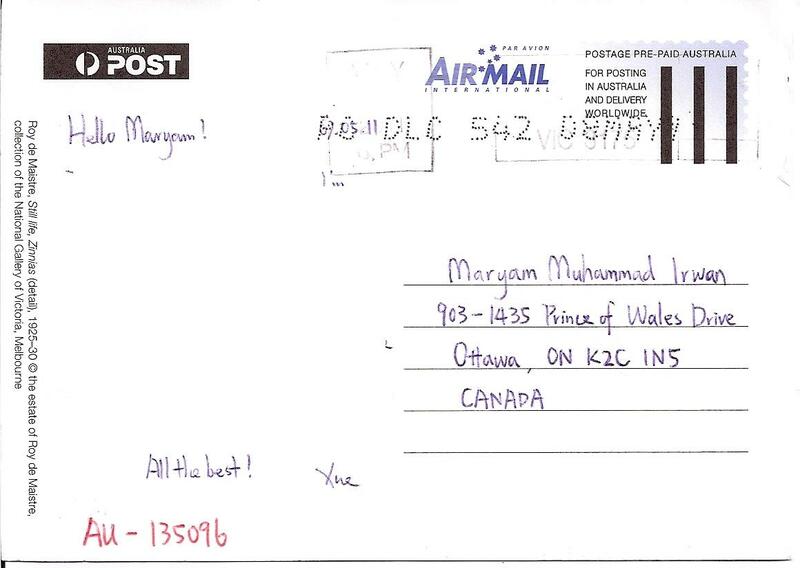 Unfortunately there is no postmark applied, and the three stamps on top were cancelled manually with a pen! Thank you Irene for this cover! 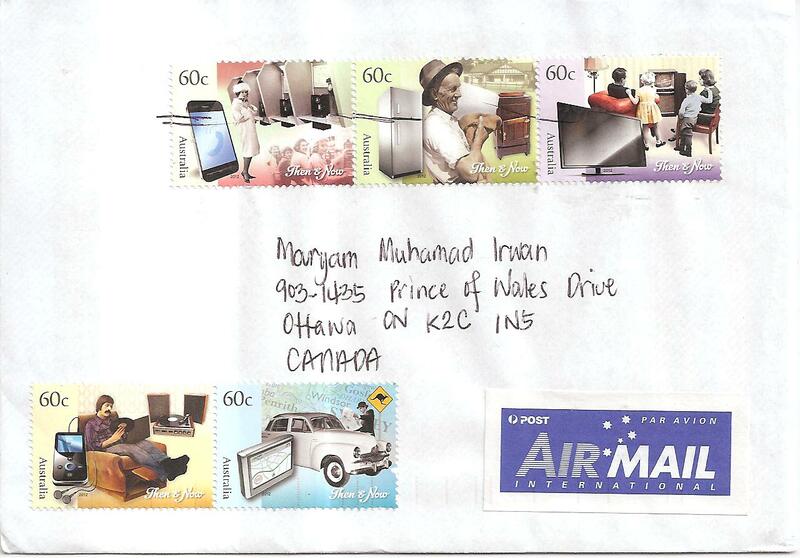 A cover from Australia, sent by Irene Magale from Victoria. This is a swap for Titanic cover arranged by the Nice Cover Circuit in postcrossing forum. This is the front of the cover. 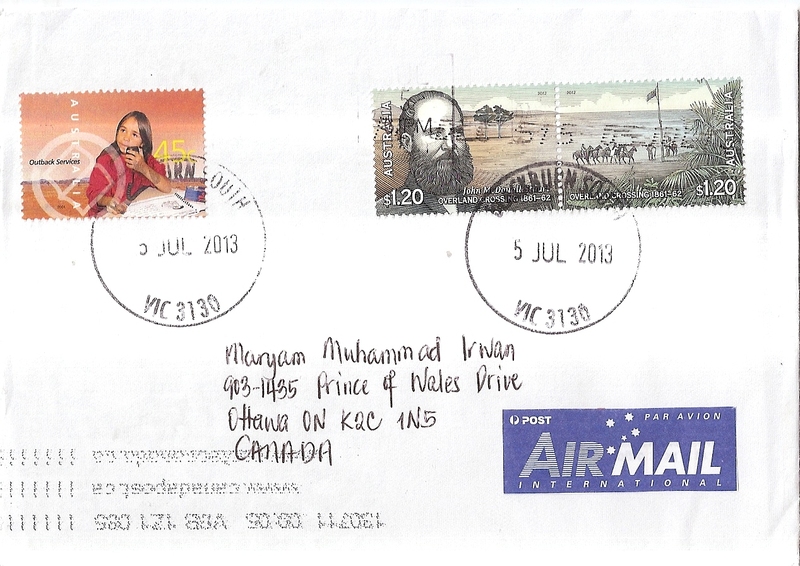 The postmark date is 21 May 2012. 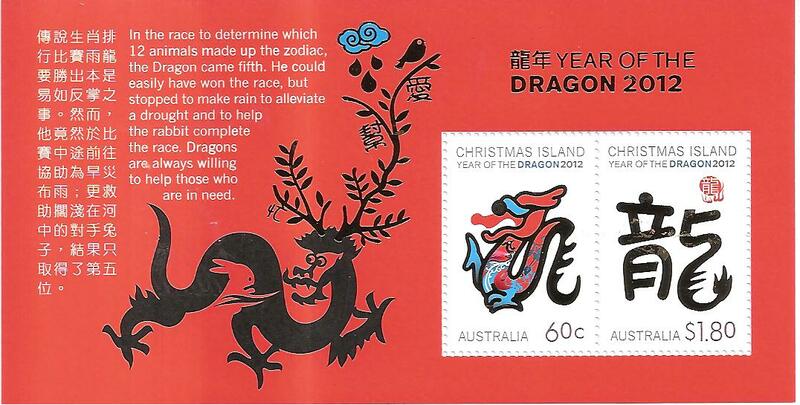 Inside is a commemorative souvenir sheet on the Lunar Year of the Dragon. Thank you Irene! 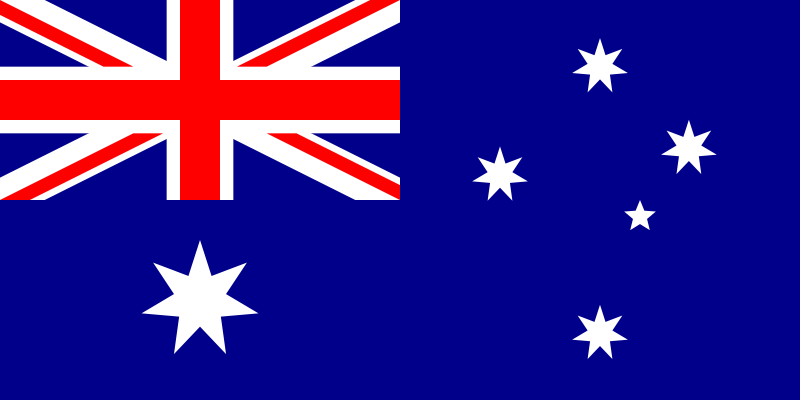 A maxi-card from Australia received through postcrossing, AU-135096. Very beautiful painting of flowers. The title of the painting is “Still Life, Zinnias” by Roy de Maistre, 1925-30.